Compared with Android devices, iOS devices are well appraised for their exclusive interface, fluidity, and exceptional uniformity. Apple devices are run by certain protocols, which is same for all and hence offers little room for users’ personal customization. For instance, an android user can set various themes in his android phone, while an iOS user may be limited to only one option and there is hardly any exception. But this monotony can be changed – by jailbreaking your iOS device, which is similar to rooting in android device to get whole control. And after jailbreak, there is one app that can help you freely and easily customize your iPhone/iPad: Cydia. Cydia, the platform manager mobile app for iOS, is the one-stop solution for iPhone, iPad and iPod touch customization. But there is a negative impact of random customization for your iOS device by Cydia. Beside security, it may also affect device’s speed and hamper the smooth user experience. In order to keep your iPhone speed fast, you need to remove Cydia tweaks regularly. If you don’t know how to do it, this article will show you two ways to remove Cydia from your iPhone/iPad. Remove all Cydia tweaks is not so difficult without computer, though there isn’t a big red “Delete All” button. Check the steps mentioned here and follow them as directed one by one in the given order. It is an easy-to-perform trick and mostly it works on all iPhone models. But in case you face any unexpected error, we highly recommend you to completely back up your iPhone data in advance. Open Cydia from your iPhone/iPad. Click on the “Installed” tab and tap on the first tweak that you wish to uninstall. Now tap on “Modify” on the top right and select the option “Remove”. Instead of tapping on “Confirm”, you need to select “Continue Queuing”. Then add all the tweaks to the queue. Once all tweaks are added to the queue, go back to the “Installed” tab and tap on the button “Queue”. At last simply press “Confirm” to remove all queued tweaks at one go. Now you have deleted all Cydia tweaks at once. It’s time to reboot your device to give an end. It is possible to erase Cydia from your iPhone (iPad) with iTunes, but this technique will also removes all your sync data and restores your device to its original factory default state. So, it is highly recommended that you must take entire backup for all your iPhone data before further processing. 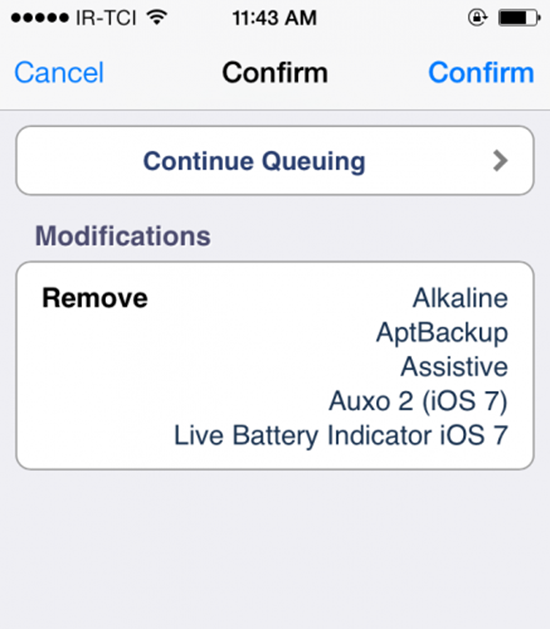 Following are the steps to delete Cydia from iPhone/iPad with iTunes. Step 1. Connect your iPhone to your PC. Run iTunes and give your authorization if it’s your first time to use. Step 2. Click on “Files” on the menu bar and choose “Devices > Back Up”; or you can click on the iPhone icon and click “Back Up Now” on the Summary page (If you have already sync all your device data to iTunes, then skip to next step). Step 3. Click on File > Devices or go to Summary page, find and tap on the ‘Restore Backup’ option. You will require confirmation of your action to continue further. Once you approve it, iTunes will initiate the restoring process. All your iPhone data will get removed, including Cydia. Step 4. Once the restoring procedure is finished, you can have your iPhone with your precious data, but without any Cydia tweak. These are the easy ways to delete all Cydia tweaks from iPhone at one go instead of one by one tediously. The entire process is easy to manage and can be performed without much knowledge of technology. You now can save your time with these methods to easily erase faulty, non-working, and old tweaks at one attempt to keep your device clean and running fast. 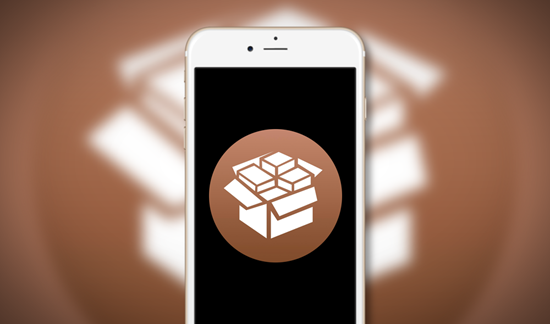 Welcome to share your experience with Cydia, and if you have any question, feel free to leave a message in the comments section below.